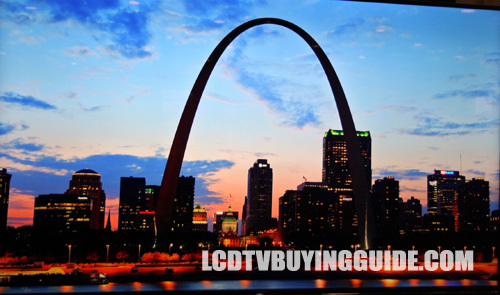 Earlier in the year, Samsung released their massive 85 inch 4K monster of a TV. Now we have the UN55F9000 to bring things a little closer to the affordable realm. The F9000 series is basically an upgrade of the F8000. 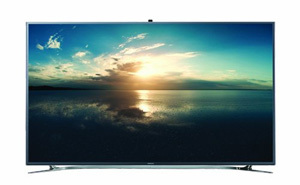 The F9000 TVs are blessed with a 4K resolution display and a more powerful speaker system built right in. All the features like the Smart Touch remote, pop up camera, and the full Smart Hub are still present. Some of the more notable picture quality features are the precision black local dimming, micro dimming ultimate, the ultra clear panel, and the quad core processor for running the Smart Hub. It's a very attractive TV, but the price tag for the improvements over the F8000 series may hold this one back. The clear coat, rich black screen and the high quality edge lighting LEDs allow for colors to pop and give a real sense of depth when viewing HD quality source material. 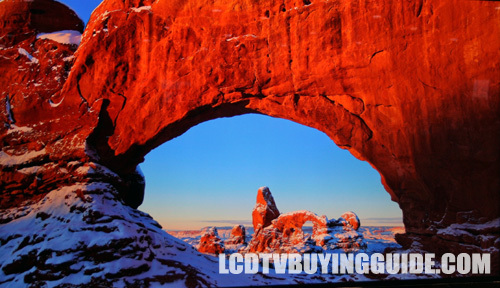 In-picture Light flow (areas of the on screen picture that show lights, or sunlight streaming into images) is the best of any TV you will find on the market except for OLEDs. Black levels and contrast are two other strong points of picture quality on the UN55F9000. Blacks are deep even when other areas of the screen are bright. Dark shadow detail is impressive as well. With every big tech purchase we ask ourselves, “will something better come out next week or next month.” That is especially the case with televisions. Samsung has addressed this issue in their other smart TVs with the evolution kit. This kit upgrades the internal hardware to bring the TV up to speed with the latest software and performance upgrades. The F9000 is no different, especially since the widespread distribution of 4K content is still on the horizon. The One Connect box is basically the same as the Evolution Kit, but with a focus on 4K distribution and playback standards. The box will be available in 2014 and will also add features, content, and provide performance updates to the 55F9000. 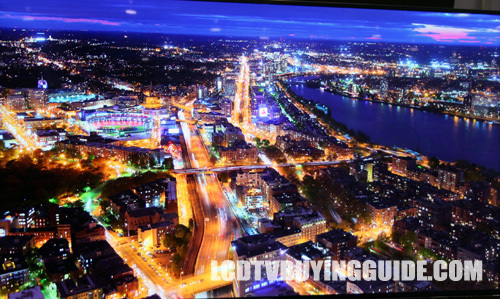 The Micro Dimming Pro feature is found through the Smart LED settings in the picture menu. We felt the picture overall showed better 3-dimensionality with the Micro Dimming Pro feature on. It's the type of feature we normally turn off, never to be seen again but it works well on this TV. The result is a more detailed image with greater contrast. As an added bonus, the effects give you a brighter more 3 dimensional image even in 2D. The Precision Black produced inky blacks without losing any dark shadow detail. To find the setting, look for the Smart LED option in the Picture Options menu. It is set to standard by default and we saw no difference when bumping it to high. When turned off, the picture seems to lose the vibrancy it had. The AutoMotion Plus feature adds tons of depth to 3D images and reduces judder to a non-issue. We also turned the 3D light setting up to High from the low position. Changing the picture settings to Vivid and trying different combinations to improve the 3D picture saturation and depth proved fruitless as it created noticeable double images and glowing around figures. Color and contrast do fade when viewing from off center though much more subtly than I expected. In fact, the untrained eye will likely not see the difference in contrast saturation from side angles. Early models of the 4K TVs from Samsung did not look this good from the side and were more in line with standard HD LED TVs. Dont get me wrong, it's still a drawback, but not a pronounced one. This was probably the single biggest drawback compared to OLED aside from the deeper blacks on OLEDs. The 55F9000 has essentially the same package as the UN55F8000 except with the 4K resolution. Smart Hub 2.0 is a fairly substantial upgrade to last year's Smart Hub feature. The interface has received a redesign that reminds us of the tiled interface that tablets and smartphones use. This should make it more intuitive and friendly to use for those who are familiar with that sort of navigation. The content is separated into five different pages present you with all the information you need. First is the Apps page that displays recommended and downloaded apps. Then there is the Social page that displays trending content along with tweets and Facebook updates. The On TV page provides an onscreen guide to what is being broadcast live. The Movies and TV Shows page displays what is available from different internet content sources like Netflix, Hulu, Samsung Media Hub, and more. Lastly is the Photos, Videos, and Music page for viewing and watching content from smartphones, tablets, and computers directly or over a network. The quad-core processor will greatly increase the speed of the Smart TV function. It is a welcome addition since processing speed and multitasking were slow before the upgrade to the quad-core. The quad-core also helps speed the browsing function which was slow in 2012. Don't worry about this innovative technology fading into obscurity, either; with a Smart Evolution feature, the TV uploads the newest features each year through a kit attached to the back of the set. With the increased resolution, Samsung decided to pack a little more punch with the speakers on the F8000. There are four speakers total with a combine output wattage of 70 watts. There are two 15 watt speakers and two 20 watt speakers. The result is a full sound that hits the highs and lows without sounding too muddy. Many of the built-in speakers we've tried this year produce a muddled sound that isn't very pleasing. The F8000 before this one was getting there, but the added power on the F9000 takes it to the next level. This is the big question with the new 4K TVs. They have come down rapidly in price to match Sony's early efforts. Imagine that, Sony becoming the low price leader in a great new technology. The world changes. At $3499 maybe this is TV, loaded with features and future-proofed for years to come isnt such a bad deal when you consider the 55F8000 at $2499. A $1000 premium over normal HD, maybe justifiable. The Sony XBR55X900A 55" 4K TV is priced at $3999 from Best Buy so a $500 premium for the Sony. However, the Sony contains far superior side mounted speakers that do not require a surround sound system to get great sound. The remote control and Smart TV options from Samsung are better. TV without stand: 49.0" x 28.3" x 1.5"
TV with stand: 49.0" x 29.8" x 12.2"
Weight without stand: 48.9 lbs. Weight with stand: 52.0 lbs.